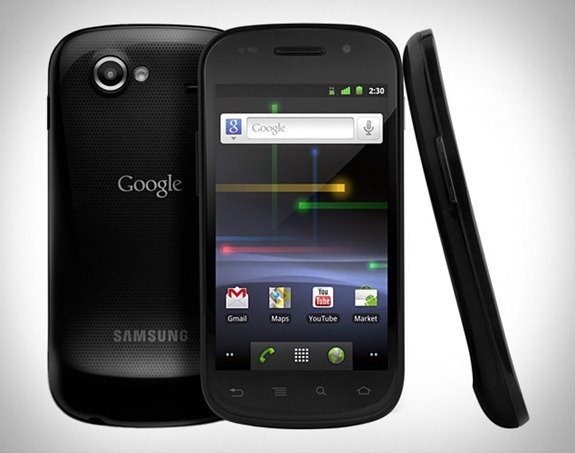 As promised, Google's Samsung-made Nexus S went on sale today at 8 a.m. at Best Buy stores across the United States (online sales start at 8 a.m. EST). Google's flagship phone - the first to natively run Android 2.3 - retails at $199.99 with a 2-year T-Mobile contract or $529.99 unlocked and without a contract. To promote the release of the phone, Best Buy is offering free overnight shipping if you choose to buy this phone online. The recently unveiled device is a modified version of the Samsung Galaxy S and sports a 4.0" WVGA "Contour Display" SAMOLED screen, 1 GHz Cortex A8 Hummingbird processor, 16 GB of internal storage, HD video playback, a gyroscope sensor and NFC support. It also comes pre-installed with Android 2.3, which brings a new software keyboard, better copy/paste, improved power management, integration of VOIP calling, and support for multiple cameras. And because it's vanilla Android, users will receive updates to Android much faster than devices made by other hardware manufacturers. The Nexus S will not be covered by T-Mobile's "Premium Handset Protection Insurance".